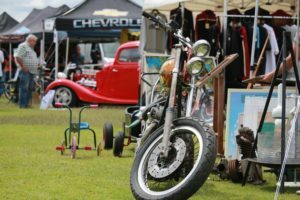 We know your missing the bells and whistles that is Perth’s only premium vintage, rockabilly event. The Vintage Collective Markets presents – “Magic Mystery Market” event. The bootylicious event that covers all your interests, the pinups, the rides , the rockin’ bands and the vintage finds that no other event can produce but The Vintage Collective Markets. The little bit naughty, colourful and indulgent. MARK the diary. Pre-book your space! Sorry. You will have to trust us on this. Perth’s most unique event team at VCMPERTH Events and Perth’s best all in vintage, rockabilly style market event have this venue under wraps! Perth is ready for a fun last minute full blown event only The Vintage Collective Markets bring to you! WE are not releasing any details of the venue at this time, it’s a true mystery tour style event! Is it indoors or outdoors, not spilling info just yet! AND we promise our “rockin’ rides and vintage vibes” will be on show front and center! AND we have some extra special new for our vendors! ALL 3x3m sizes are ONLY $50 and 6x3m ONLY $100. YES an event with a huge line up of bands , activities and we know you , the vendor, are the main attraction. Outdoor bar, food and loads of entertainment along side shopping heaven. New, used, retro, handmade, vintage and more! Be you a hobbyist, a tinkerer, a major outlet or automotive brand we love what you do, and as always respect what you bring to our event!!! WE are also running a cruise to the event, mystery style. YOU won’t get the details until closer to the event! If you are a club or want to sponsor or assist with the planning we would love to hear from you! Email us at vcmperth@outlook.com BUT importantly put the date aside. Applications are ONLY an EXPRESSION OF INTEREST at this time. BUT if you do not apply now and another vendor that fits your style does get in first, you might miss out. SO FILL IN THE FORM!